I really, really like being a veterinarian. 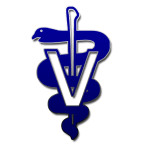 I like my patients, my clients, medicine in general and veterinary medicine in particular. I like routine puppy appointments and heart-pounding emergencies. I like surgery, gastroenterology, radiology, hematology and many other sub-specialities, all of which I get to practice on a daily basis. As is true of all vets, there are some things I like to do more than others. ‘Tis the season for favorite things; here is a list of my top 5 favorite veterinary activities. Putting Humpty Dumpty back together again is fun, and immediately rewarding in most cases. For someone who’s a bit of an organizational neat freak, suturing closed lacerations and other wounds satisfies that itch to make everything neat and tidy again. Suturing is fun and there is immediate gratification in converting a large, gaping wound into an organized suture line. Of course, some wounds can be difficult to heal, and some cannot easily be sutured closed. But to me, there is nothing better than a fresh, traumatic laceration that needs some simple sewing to fix it up. 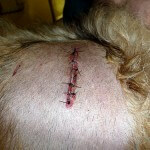 Most of us in the veterinary profession find abscesses strangely, and grossly, enjoyable to treat. Cat bite abscesses are common in our feline patients that go outdoors and get into altercations with neighborhood kitties. Cat bites can result in large abscesses, and these are easily fixed by opening the abscess with a scalpel blade, draining the pus, flushing the wound and a course of antibiotics. They tend to heal well, and like the wounds described above, are rewarding to treat. 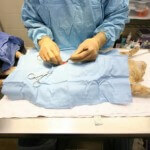 Cat spays (or ovariohysterectomies) are one of my favorite surgeries. They are a very different experience than dog spays, in the sense that cats tend to bleed less overall so visibility within the abdomen is better. Cats, particularly pediatric felines, have less intra-abdominal fat, which makes everything less slippery and more easily visualized. And, obviously, cats are smaller than most canines so the ovaries and uterus are more easily found. A cat spay can take 20 minutes, as compared to a large-breed dog spay, which may take up to an hour. Overall, we do less and less cat spays these days since the majority of kittens we see as patients have been spayed by 8 weeks of age by the shelter or rescue group from which they are adopted. This is a good thing, since it eliminates the risk for breeding and reduces overpopulation, but I do miss doing more of these surgeries! This is a no-brainer! What’s better than a fuzzy, wiggly, happy bundle of puppy-ness and devoted owners who have already fallen in love with their new companion? These are happy, laid-back appointments with lots of conversation about housebreaking, crate training, teething, feeding, vaccinations, parasite prevention and basic training recommendations. Many of my best clients are those I met for the first time with their new puppy. It’s such a joy to see those puppies grow up, and return to us year after year for wellness and medical care. New kitten appointments are, of course, also a favorite for all the same reasons. I have a secret passion for radiology, and enjoy interpreting radiographs (x-rays). 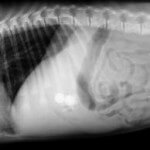 At Ardmore Animal Hospital, we are fortunate to have a very high-quality digital radiography machine, which produces spectacularly detailed images. We can zoom in, lighten or darken radiographs, and compare previous films side-by-side with current films. Radiology is an exceedingly helpful modality, particularly when needing to evaluate the lungs, heart and GI tract. Ironically, not everything is black and white when interpreting radiographs (meaning we don’t always get the obvious answers we are looking for, and sometimes need to request additional testing such as an ultrasound), but often valuable information is obtained immediately to know if a life-threatening situation is present. I wouldn’t want to be a radiologist full-time since I would miss client and patient interaction too much; fortunately as a general practice veterinarian, we get to practice many sub-specialities on a daily basis so we don’t have to choose among them. There are so many more things that I enjoy in daily practice (and a few things that I don’t; another blog post, perhaps?) I’m just a lucky gal to be able to say that I genuinely like what I do.